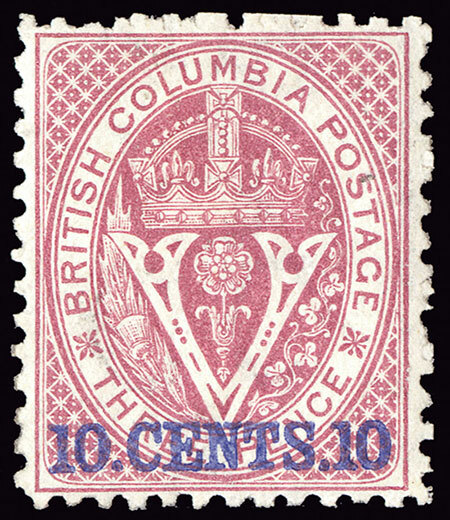 British Columbia Vancouver Island stamps first appeared in 1860. 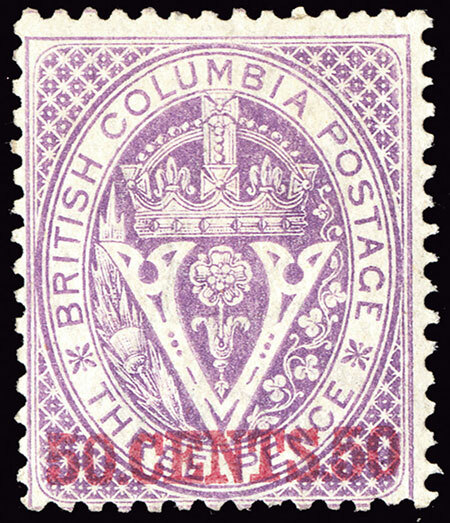 They were issued in three different phases, those for British Columbia and Vancouver Island, those for Vancouver Island, and those for British Columbia. The Crown Colony of Vancouver Island was established in 1849, and the Crown Colony of British Columbia was established in 1858. Most of what we know today as British Columbia was the New Caledonia territory of the Hudson Bay Company. Fur trading had always been the principle activity in this area, but in 1857, gold was discovered. Prospectors from the United States and throughout the British Empire hurriedly traveled there to seek their fortunes. In an effort to establish political control over the new-found wealth of the mainland, the British Parliament converted the Hudson Bay Company territory to a Crown Colony on August 2, 1858, giving it the name "British Columbia". 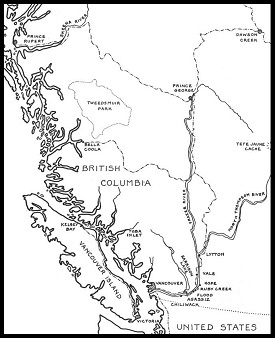 In 1866, the Crown Colonies of Vancouver Island and of British Columbia were merged together into a new Colony of British Columbia. The new, unified colony would continue until 1871, when it would join the Canadian Confederation, becoming the Province of British Columbia within the Dominion of Canada. 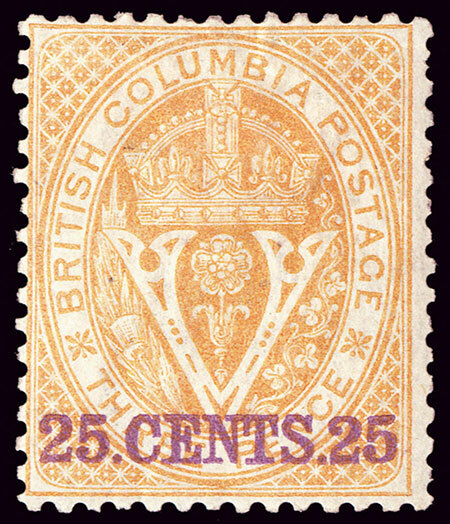 The two Pound Sterling currency stamps shown above were issued in 1860 for use in the Crown Colonies of British Columbia AND Vancouver Island. They are both typographed on unwatermarked paper. The imperforate stamp was never officially placed in use in the two colonies. It is now believed that the few known mint (without gum) examples of this stamp may possibly be proofs or maybe even reprints. The perforated 14 stamp was used extensively in both colonies, and though a bit expensive, examples of this stamp are relatively abundant. 2 1/2 P. (1860 - Imperf. - Scott #1) - Dull Rose. 2 1/2 P. (1860 - Perf. 14 - Scott #2) - Dull Rose. 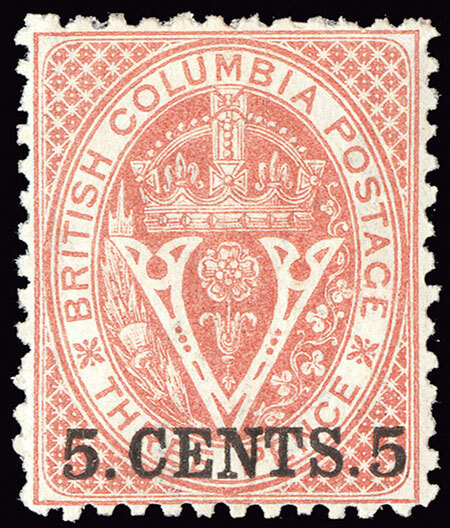 The four decimal currency stamps shown above were issued in 1865 for use in Vancouver Island. They are both typographed, and they are printed on paper with WMK 1 -- the Crown and CC watermark. The stamps were issued both imperforate and perforated 14. The imperforate stamps are very scarce. The perforated stamps are common. 5 C. (1865 - Imperf. - Scott #3) - Rose. 10 C. (1865 - Imperf. - Scott #4) - Blue. 5 C. (1865 - Perf. 14 - Scott #5) - Rose. 10 C. (1865 - Perf. 14 - Scott #6) - Blue. 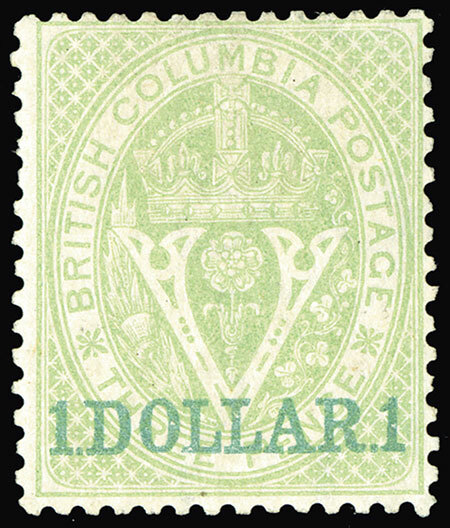 The Pound Sterling currency stamp shown above was issued on November 1, 1865 for use in British Columbia. This stamp is typographed, perforated 14, and it is printed on paper with WMK 1 -- the Crown and CC watermark. The new design features the Seal of British Columbia. 3 P. (1865 - Scott #7) - Blue, Pale Blue. Between 1867 and 1869, types of the 3 P. denomination stamp of 1865 were issued in various colors, and they were all surcharged in decimal currency. The earlier printings are perforated 14. 2 C. on 3 P. (1867 - Scott #8) - Brown. 5 C. on 3 P. (1869 - Scott #9) - Bright Red. 10 C. on 3 P. (1867 - Scott #10) - Lilac Rose. 25 C. on 3 P. (1869 - Scott #11) - Orange. 50 C. on 3 P. (1867 - Scott #12) - Violet. 1 D. on 3 P. (1867 - Scott #13) - Green. The later printings are perforated 12 1/2. 5 C. on 3 P. (1869 - Scott #14) - Bright Red. 10 C. on 3 P. (1869 - Scott #15) - Lilac Rose. 25 C. on 3 P. (1869 - Scott #16) - Orange. 50 C. on 3 P. (1869 - Scott #17) - Violet. 1 D. on 3 P. (1869 - Scott #18) - Green. The Colony of British Columbia, created in 1866, joined the Canadian Confederation in 1871, and it became a province (or state) of the Dominion of Canada. Since then, Dominion of Canada postage stamps have been used in British Columbia and Vancouver Island.